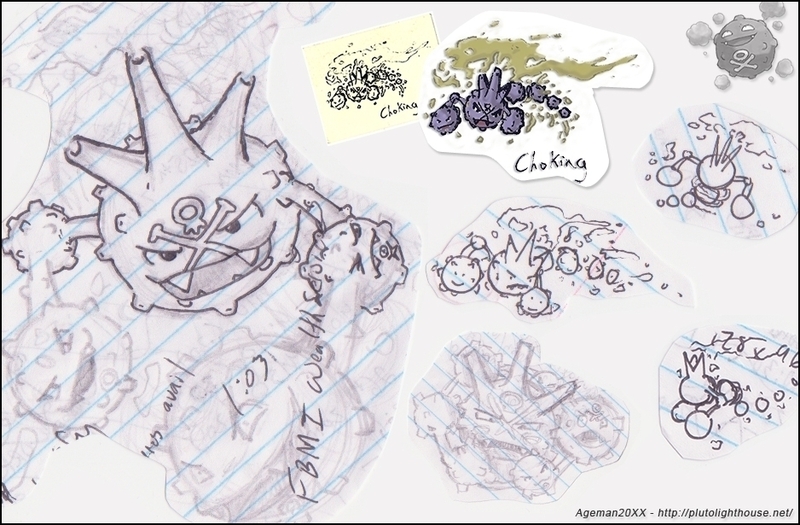 While talking about Pokémon with my co-workers, Koffing and his evolution Weezing came up in the conversation. We joked about a theoretical evolution named "Choking" or "Hacking" and - being the fanboy I am - I simply had to draw it. I decided to go with the name "Choking" instead of "Hacking" as hacking might imply a relation to data or computers and we couldn't have that!